The plan was to get this review published on Sunday, about half an hour before Greece played. That obviously didn’t happen. I kept hoping that Greece would win, so I could post this review before their next World Cup game. They lost. Now I sit here at my computer about half an hour after my home country, USA, finished playing Belgium. I’m sure you know or have figured out what happened to team USA. They lost. It is not filling in the least and with no after taste to speak of; you could go through 2-3 in a sitting without much effort at all. I didn’t really want to buy the 6 pack for $10.99 but this was the last beer that I could track down in my area from the list of “Beers of the World Cup.” While I wouldn’t buy another 6 pack at that price, I could see myself enjoying a bottle or a drought glass at a bar. Mythos is a beer along the lines of Asahi. It tastes fresher and cleaner than Heineken of Kronebourg 1664. It has only been produced since 1997, a newcomer to the beer world, and within a very short time it has made a name for itself. It won the gold award in the Canadian “2001 Interbeer International Beer and Whiskety Competition.” This authentic Hellenic Beer proves that old dogs, Greek culture, can learn new tricks. This will be the last of the “Beers of the World Cup,” that I review; due to the previously mentioned fact that I can’t find anymore of those beers in my area to purchase. I have had a really fun time with this theme. 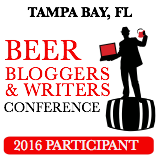 I was dreading trying out most of these beers, and while a couple where excruciatingly painful; I was pleasantly surprised by the rest. Though I am no soccer fan and have watched a sum total of about 35 minutes of actual World Cup game time, it was a blast being able to take part in this soccer craze that sweeps the globe every 4 years. I want to thank Brandon Kraft for presenting this great idea and for taking part in reviews as well. 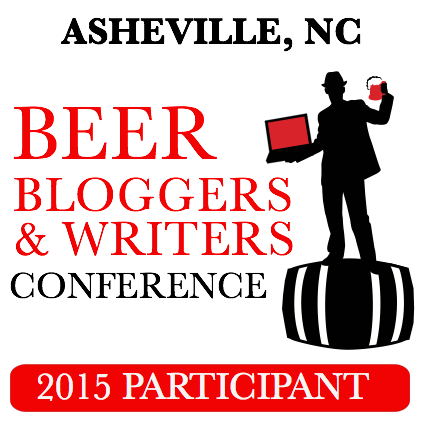 We will be going back to our normal beer reviews, where we randomly select beers to drink and write about. Hope you have enjoyed this as much as we have. 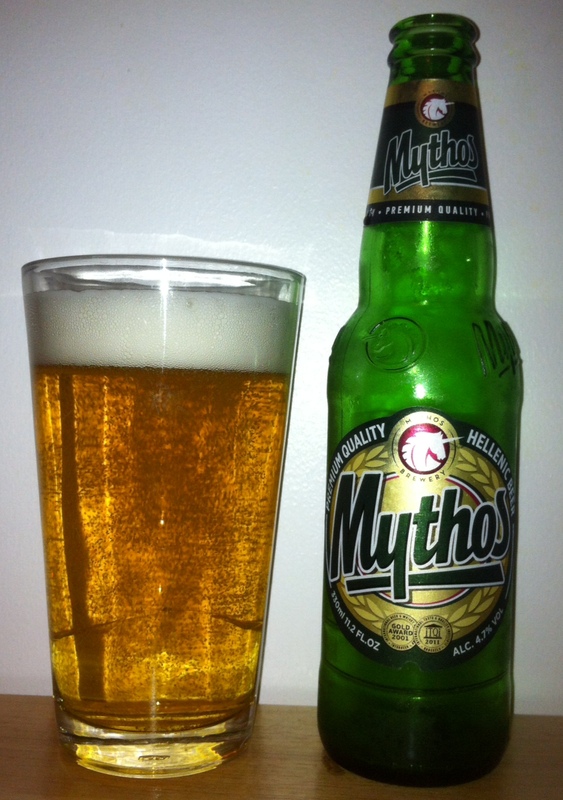 This entry was posted in Beer Style, Light Lager, Mythos Brewery, Standard American Lager and tagged beer, Beers of the World, Beers of the World Cup, euro pale lager, greece, hellenic, hellenic beer, lager euro lager, Mythos, mythos brewery, mythos brewing, pale lager, review, soccer, world cup. Bookmark the permalink. I am glad that the Soccer Tournament is almost at an end. The TV at McCoys has been on soccer for the entire Tournament and I am ready for some college football, since the Astros are nothing to write home about again this year.